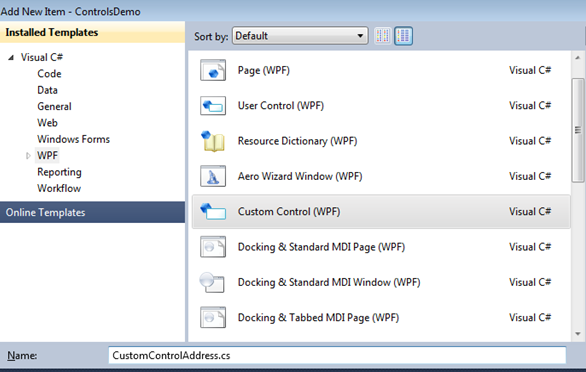 Here I am going to briefly introduce with the types of custom controls one can build in WPF. Someone can ask why we need custom controls, if we can do everything with Styles and Control Templates ??? Well, I would say still there are scenarios where one may need custom controls. One of them can be, while creating reusable control which is composed of many other controls, i.e: I want to create a control for data entry purpose, which will take Temporary address and Permanent Address. 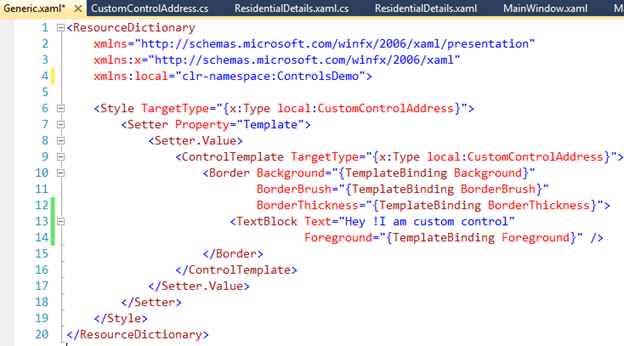 Here I don’t want to copy/paste XAML code repeatedly for these two addresses. So, it’s better to create a one User Control and reuse it. Another scenario can be, when we need a functionality which is not provided by existing WPF controls, here custom control can be the best solution. 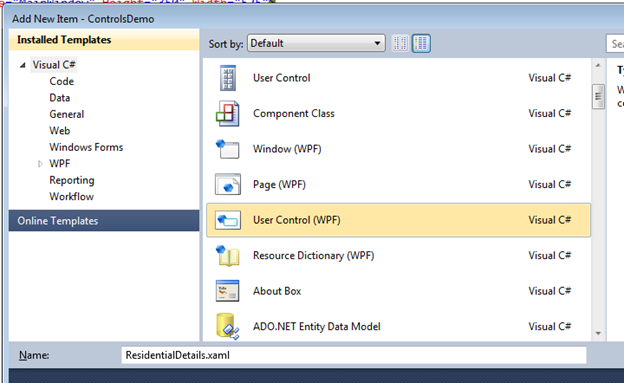 Now before proceeding further, it is important to have a look at the two most common classes of WPF namely UserControl and Control. 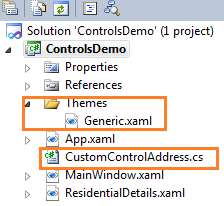 UserControl should be chosen when you want to combine existing components, but here complex customizations won’t be supported. 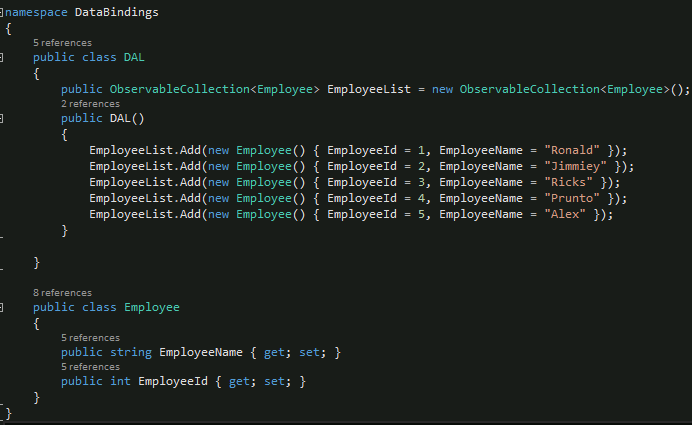 So, if you need lot of customizations or you want control templates, then Control class will be your choice. Best example can be themes, which requires Control class. Now, let’s quickly dig into the code. Hope you got an idea on how to use what. Enjoy learning !!! Recently I received a request from one of the followers on ways to bind source objects. So, I thought it would be a nice topic for a post. Hence, it's here. 1) RelativeSource - Relative source is one of the property on a binding that can point to relative source markup extension which tells where the source can be found in hierarchy. In simple words, it is the relative path in the element hierarchy. 2) ElementName- Another way of specifying source is by using ElementName in which other element present in the current UI can be used as a source object. Here the source object has to be part of Visual tree. 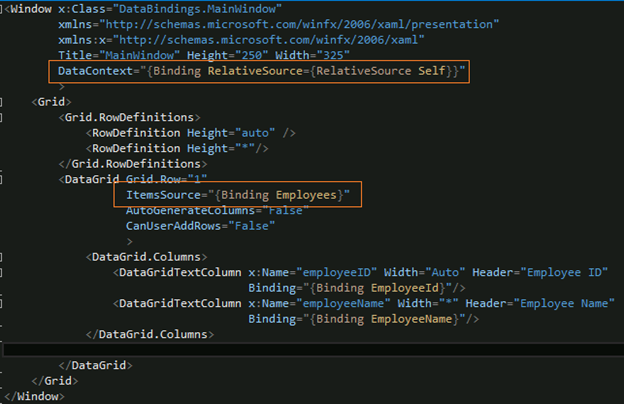 3) Source - Another way is by using Source property on a binding. 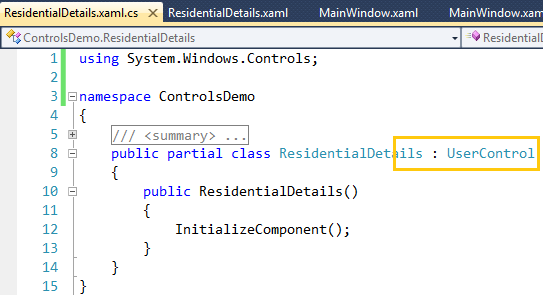 This source property has to point to some object reference and the only better way to get object reference down into the source property is that uses static resource which points to some object in a resource collection. Now let's quickly jump on to the code of each one of these. 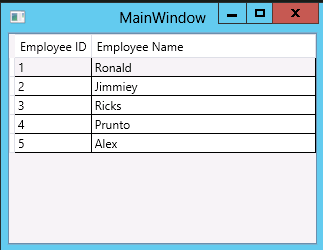 To make my example simple, I am taking only two fields named Employee Id and Employee Name and will display it in a WPF DataGrid. You might notice that by this time, I haven’t set the DataContext and ItemsSource property for my DataGrid. So, if you will run this application, your DataGrid will be empty with zero tupples. 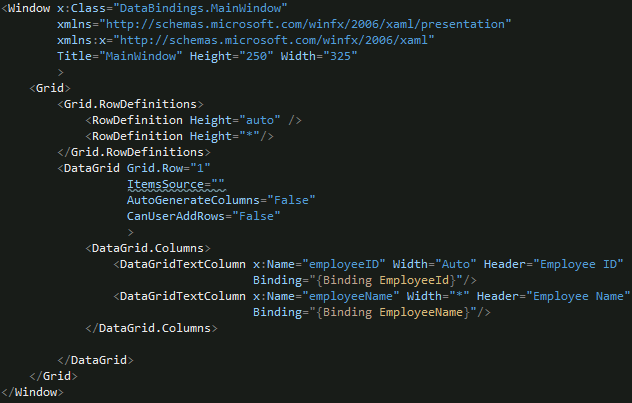 Going forward, I’ll pick each one of the binding sources to populate out DataGrid. Let’s take Relative binding as the first one. Setting the RelativeSource to Self is equivalent to this. 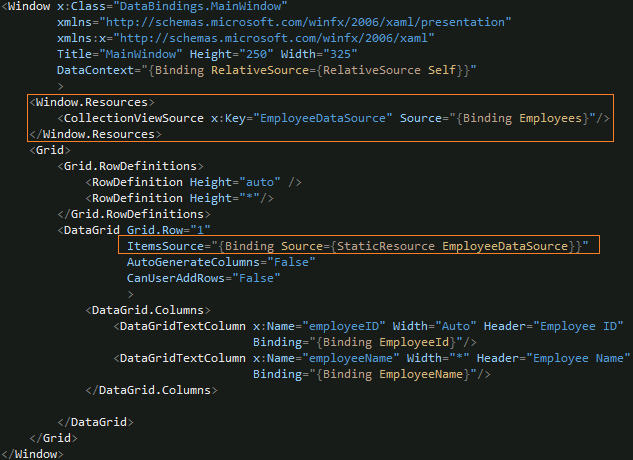 So, one need not to set DataContext in code-behind. Please note, here DataContext of the button is coming from the parent which is Window itself. Here we are using CommandParameter because we need to send selected row as a parameter to our command. 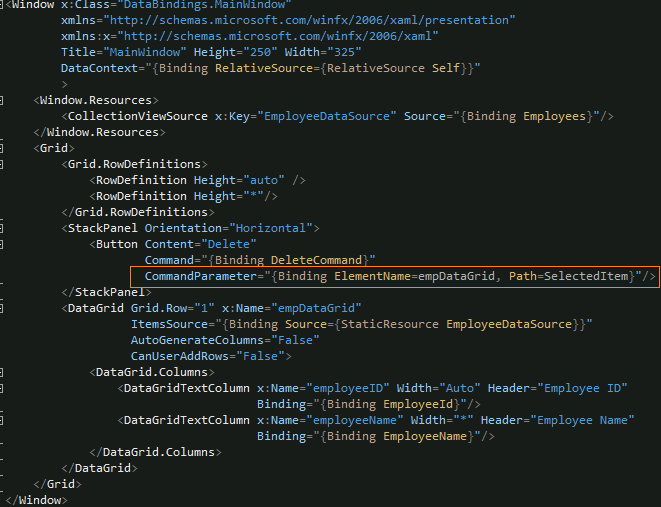 Point to note here is, we need to set ElementName property with our DataGrid because our selected employee will be part of DataGrid and the Path property with SelectedItem. If everything is in place, you are ready to go. Hope you enjoyed learning!!! Microsoft has launched the Bing Code Search add-on for Visual Studio, representing companionship between the Bing, Visual Studio and Microsoft Research divisions. The Bing Code Search extension directly assimilates the code snippet search for C# with other languages, coming later into the Visual Studio. As this add-on is a part of the Visual Studio, programmers will be able to use it to search for the code samples from a number of web-based repositories including MSDN, StackOverflow, Donnetperls and CSharp411. 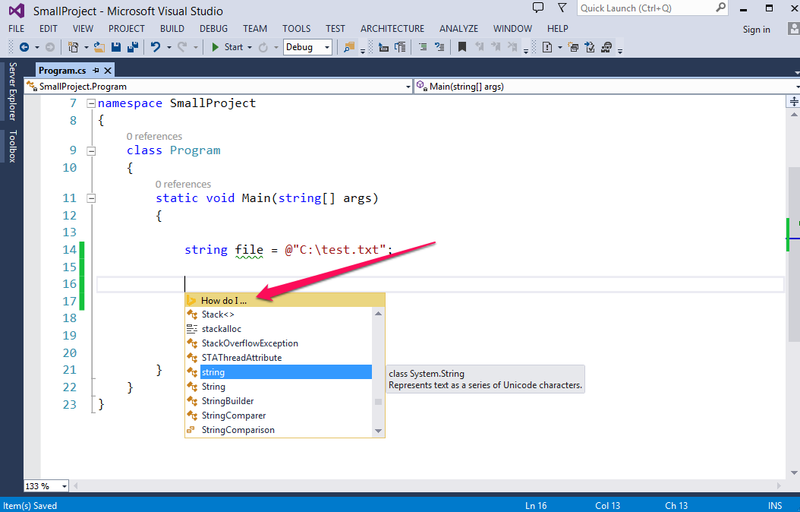 So, if you are using Microsoft Visual Studio for building apps, you can download the add-on, activate it, type the search string, press enter and you will get a couple of options that are suitable for your project. You can grab the add-on from the Visual Studio directory page. However, the add-on can be used to search for the code samples anywhere on the Web as well; Microsoft says that the sites it has shortlisted should be “more than sufficient” for most of the queries. 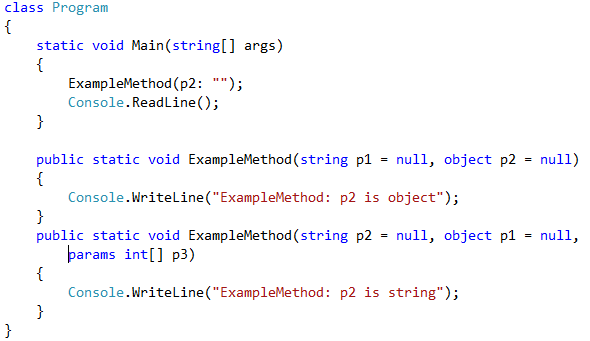 Explanation of code: In above code, there are two overloads with a difference of 3rd parameter params and bit a different ordering of parameters. Visual Studio 2010 picks the overload without params parameter whereas Visual Studio 2012 compiler is smarter and picks the overload which has more specific type. If all your overloads do precisely the same thing, then this change will not be a problem. But in other cases, it may lead to crashes or exceptions. So, going forward, be careful while offering method overloads. As most of you are aware that there are lot of language and compiler changes has happened with recent release of .Net, but all the issues will not arise until and unless you are recompiling your code. Once you recompile your code, these changes will be introduced regardless of which framework you target. Today I am writing about one of these breaking changes happened in .Net 4.5. With earlier framework, named and optional parameter concept was introduced and unfortunately it was implemented incorrectly. In essence, there was a issue with the evaluation order of named parameter and will occur only when you are using methods as an argument. Hope by this time, you are convinced about this incorrectness. Please note, here issue is with named parameters and has nothing to do with optional parameters. This issue is with the Visual Studio 2010 compiler which is giving the unexpected results. Reason: Incorrect results are because named parameters are evaluated before the positional arguments. For both named and positional evaluation must be from left to right. 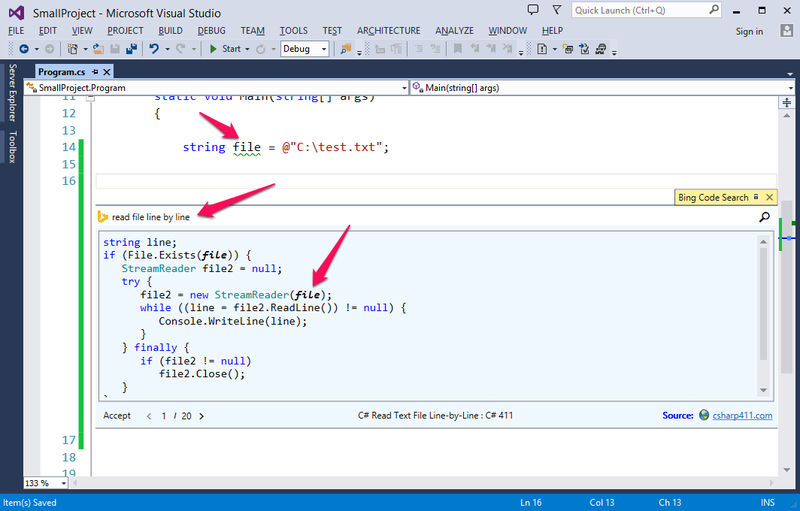 This was the bug in VS 2010 and is addressed in VS 2012. This is unlikely to cause a problem in your code until and unless you are calling methods in your argument list. Suggestion: Avoid calling methods in argument list if order of execution is important for your application. Note: ref and out parameters may also suffer from side effects due to this change. Prior to this post, I have already discussed few ways of handling INotifyPropertyChanged interface. Now you might be thinking what's next ? Well, today I'll talk about much better and cleaner way of handling this interface, which is type-safe as well as less error prone. Till now, as a common practice, we were passing a property name as a parameter of our RaisedPropertyChanged method, which unfortunately has some demerits. 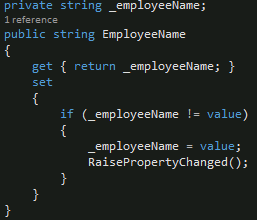 Let's say, what if user changed the name of the property and forgot to change the parameter passed inside RaisedPropertyChanged method. Now you might say that we can get rid of this by using Reflection. Even I agree with that but again it comes with an additional associated cost. So, what's the solution now??? Enough of worries, this issue has been addressed in .Net 4.5, in which developer can get rid of this parameter passing approach. Impressed? Now user is not forced to pass parameter to this RaisedPropertyChanged ,method. Hope you enjoyed learning this new feature. Today while surfing internet, I came across a very interesting interview snippet from Anders Hejlsberg and Charles Torre, in which they talked about the future version of C#, which will be 6.0. I hope most of you are aware that .Net version shipped with Visual Studio 2013 was the minor release with numbers as 4.5.1, which was just an upgrade of version 4.5. It is expected that all the major changes will be part of .Net 5.0 which will be shipped with Visual Studio 2014. Another nice thing which came out is, C# 6.0 will be based on the new compiler Roslyn, which is written in C# itself rather than C++. All the probable features of C# 6.0 will make life of developers bit more easier. The glimpse of all these features were provided at New Developers Conference recently held in London.